The pig is approximately 4cm tall. 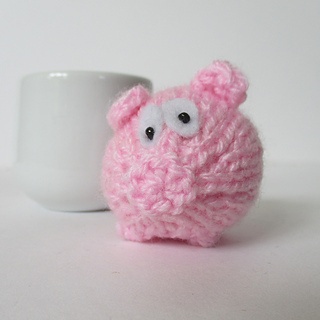 This tiny little pig is a quick knitting project. 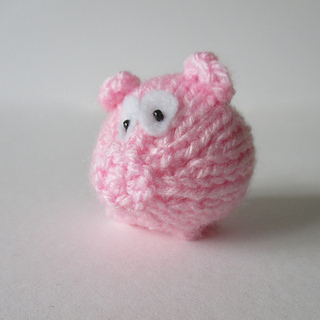 This is a super stash buster, you won’t need much yarn at all to make him, and even if you don’t have any toy filling in your craft stash you could use a cotton wool ball instead. THE PATTERN INCLUDES: Row numbers for each step so you don’t lose your place, instructions for making the pig, photos, a list of abbreviations and explanation of some techniques. The pattern is 2 pages and written in English. 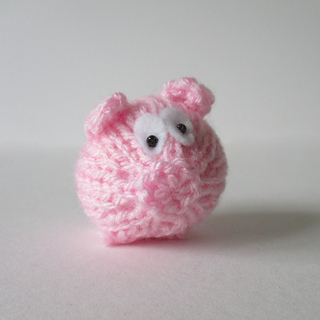 I have no objection if you wish to make these piggies to sell to raise funds for charity. However please do not reproduce or sell this pattern.